Here is a special thread dedicated to finding the proper Artists for Fan art! It is at least mid 90s-early 2000s it was in a bigger size like wall paper size now all the images of it are tiny and small...if anyone recognizes it can you tell me the artist and maybe some info? Just to clarify, did you include the right image? Google reversed image searched it and found this. Not a source but you could try googling the words written on the image (Ex. Anime Fanatics BBS + sailor moon) and see if you find anything. Good luck on your search! I can see the avatar too, luna. Wonder if it's a mobile mistake? If it is, this is the oddest one I've seen. 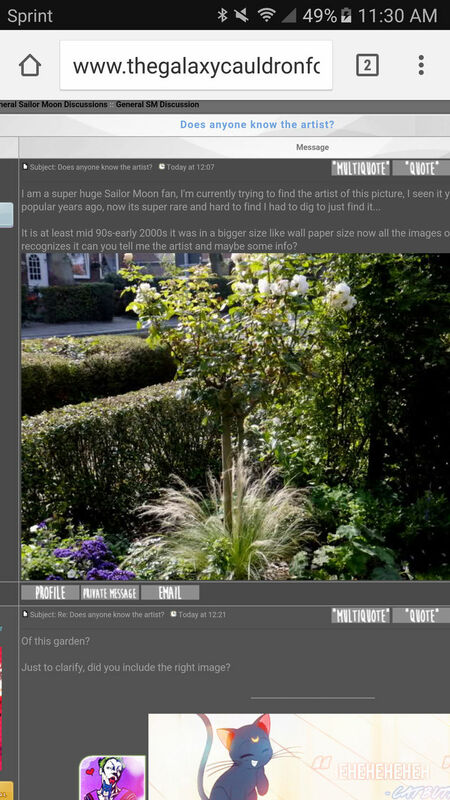 I see the picture of Usagi and Luna. and it looks live action. i seen it before. Just a note to say that your thread has been moved to the Help Me Find the Artist thread. Hey!Anybody does know who did this picture ? 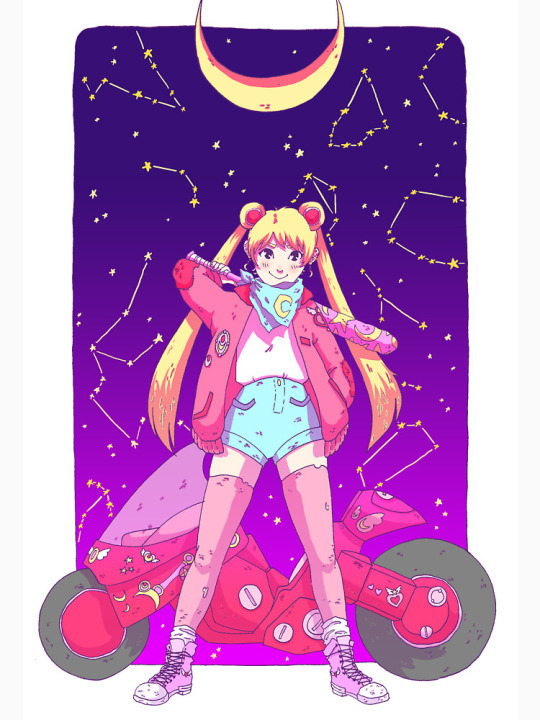 Could be by rotrabbit; they sell it on society6 as an art print but never specifically say it's by them; as google isn't find it anywhere via image search, I'm thinking that's the safe bet. found through right click, search google for image, page two --> tumblr page crediting the image to rotrabbit, dead link (or link my computer didn't like), noting society6 was the attempted link, going back to google and on first page finding the shirt on redbubble and society6; redbubble brings to useless search, society6 to actual page.